North Carolina Court of Appeals Affirms Right of Former Trustee to Represent Lender in Foreclosure Under Deed of Trust - Ward and Smith, P.A. 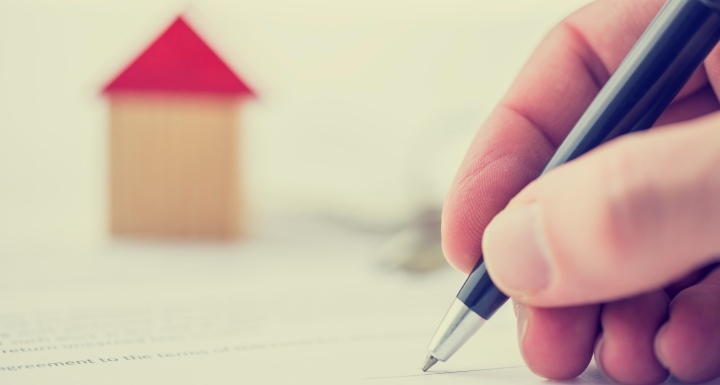 Recently, the North Carolina Court of Appeals issued an opinion addressing whether a conflict of interest exists when a trustee under a deed of trust initiates a foreclosure proceeding and later represents the lender in that same foreclosure proceeding. The opinion, In re Cain, has an interesting twist because the court not only examined the substantive law addressing such representation but also cited several ethics opinions from the North Carolina State Bar in support of its decision. The North Carolina State Bar's ethics opinions are not binding on the appellate courts, so it is unusual for the court to refer to them when considering questions of law. However, the ethics opinions do provide guidance to attorneys and set forth principles of ethical conduct which are helpful in analyzing certain issues. In 1999, Cain borrowed $74,500.00 and secured the loan with a deed of trust. Cain later defaulted on the loan and the lender substituted a law firm, Rogers Townsend & Thomas ("RTT"), as trustee under the deed of trust to initiate and carry out a foreclosure proceeding. In 2012, RTT filed a foreclosure proceeding against Cain. In September 2012, after a hearing, the Clerk of Court determined that the foreclosure requirements had been met and issued an order authorizing RTT to proceed with the foreclosure sale. Cain timely appealed the Clerk's order and sought a new foreclosure hearing before the Superior Court. While Cain or RTT could have requested a hearing at the next available term of the Superior Court, apparently none of the parties was in a hurry. In September 2013, approximately one year after the initial hearing, Cain served discovery requests on RTT to determine the identity of the current holder of the note and deed of trust, but Cain did not serve these discovery requests on the lender. The lender (which was not served) did not respond to the discovery requests. Instead, in October 2013, the lender substituted a new trustee, the firm of Goddard & Peterson ("G&P"). After the substitution, RTT then began representing the lender in the same foreclosure proceeding. In February, 2015, a hearing was finally held in Superior Court on Cain's appeal from the September 2012 order authorizing the foreclosure sale. At that hearing, Cain objected to RTT representing the lender but the court overruled the objection and after the hearing, entered an order authorizing G&P to proceed with the foreclosure sale. Cain then appealed to the North Carolina Court of Appeals. One of Cain's primary arguments on appeal was that the trial court erred in allowing RTT to represent the lender and advocate against Cain in the foreclosure hearing. The Court of Appeals interpreted Cain's claim as one of breach of fiduciary duty by RTT, and acknowledged that a trustee under a deed of trust has a fiduciary duty to both the debtor and the creditor in a foreclosure proceeding, and must discharge its duties impartially. However, Cain offered no argument of how RTT's representation of the lender at the second hearing violated any principal of law or was undertaken in bad faith. Moreover, Cain had not argued that she sustained an injury caused by the RTT's representation of the lender. The court noted that RTT was removed and replaced by G&P in October 2013, well before the February 2015 hearing. Also, by the time of the February 2015 hearing, it was G&P that was charged with acting in the best interests of both Cain and the lender, and RTT had no obligation to act as a disinterested party. The court concluded that there was no prejudice to Cain's rights or interests as a result of RTT's representation of the lender. A lawyer/trustee must explain his role in a foreclosure proceeding to any unrepresented party. If the lawyer/trustee fails to do so and the unrepresented party discloses material confidential information to the lawyer/trustee, then the lawyer/trustee may not subsequently the other party in any subsequent, related adversarial proceeding without informed consent. Cain was represented by independent counsel in the foreclosure proceeding and on appeal she did not contend that she disclosed material confidential information to RTT while it was acting as trustee. Consequently, the Court of Appeals concluded that Cain failed to demonstrate any ethical violation (much less a legal violation) in connection with RTT's representation of the lender at the February 2015 Superior Court hearing. It is not uncommon for an attorney to serve as substitute trustee under a deed of trust and later be called upon to represent the lender in the same proceeding. 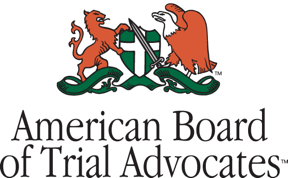 When this occurs, disputes concerning a substitute trustee's potential conflict of interest are often addressed by the North Carolina State Bar, which regulates the practice of law in North Carolina. It is unusual for the North Carolina appellate courts to weigh in on such issues, but Cain now provides guidance on the circumstances under which such representation is permissible. So You Have A Judgment… Now What?